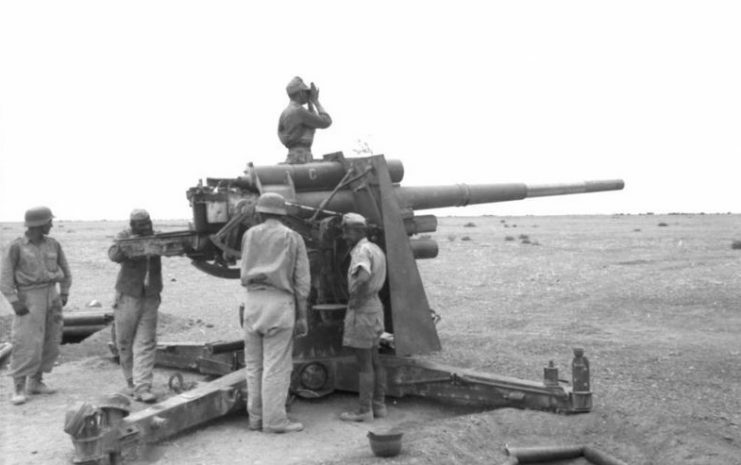 One of the most fearsome and reliable weapons of the Second World War came in the form of a German anti-aircraft gun whose very name struck fear into the hearts of Allied bombers. 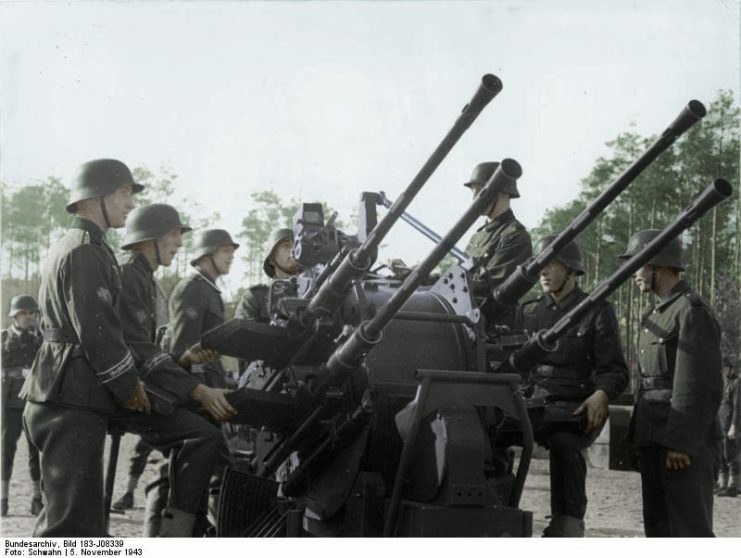 The legendary 8.8 cm Flak, better known by its field name Flak 88, first entered service in 1936. 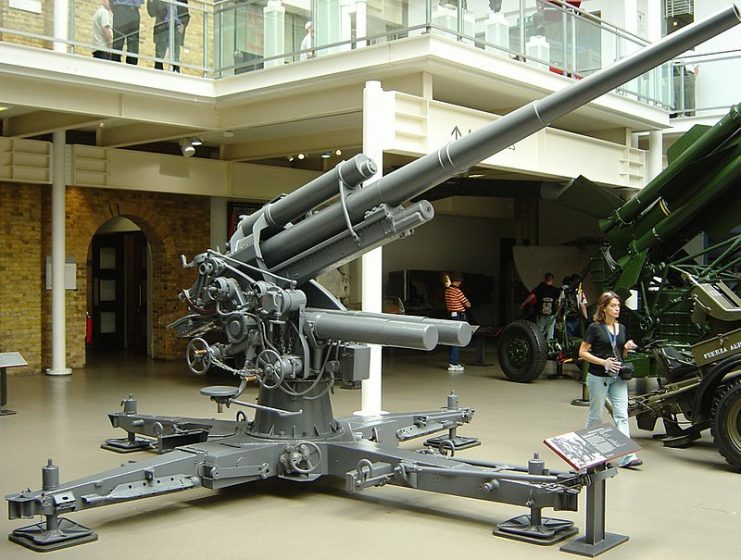 It was based on a prior design that dated back to the First World War. 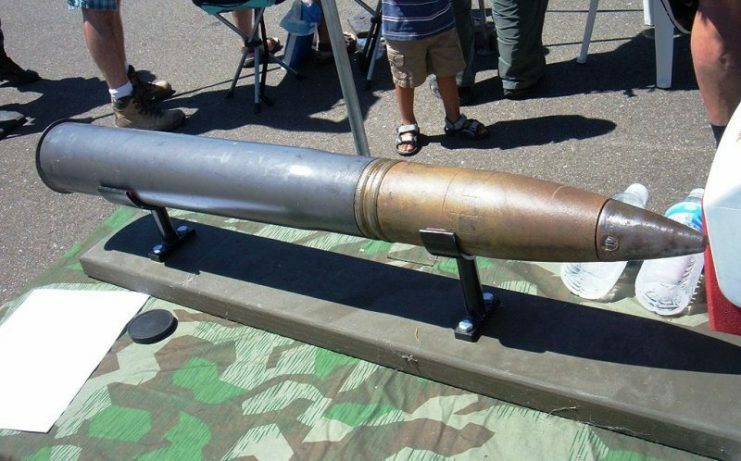 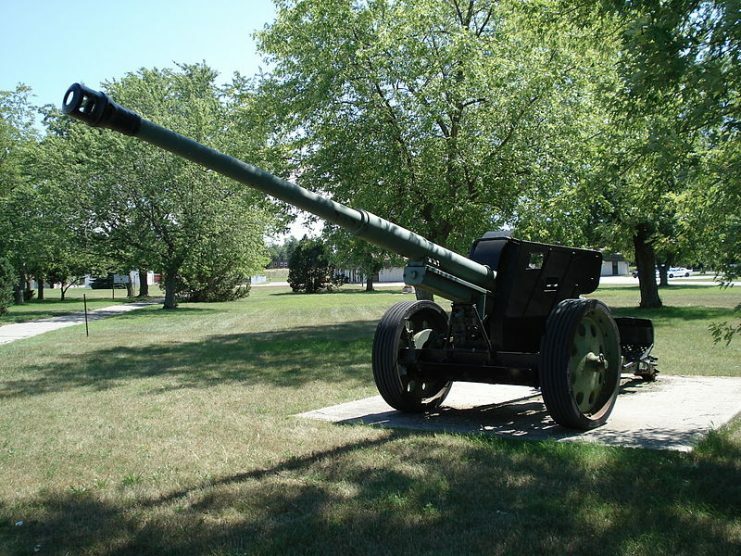 Although the gun itself was produced in several generations prior to and during WWII, the basis stayed the same ― an easily recognizable long barrel on a cruciform mount, firing 88 mm shells at both aerial and ground targets. 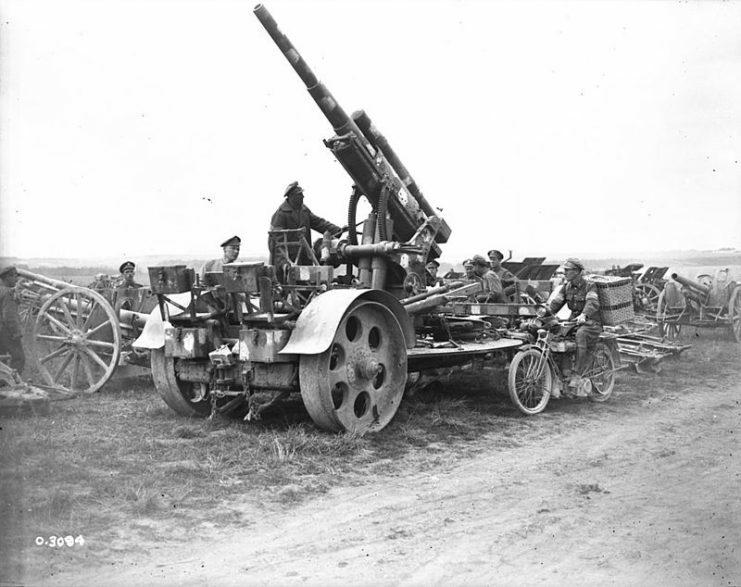 Usually placed on a four wheeled carriage during transport, the gun was easy to set up in less than two-and-a-half minutes. 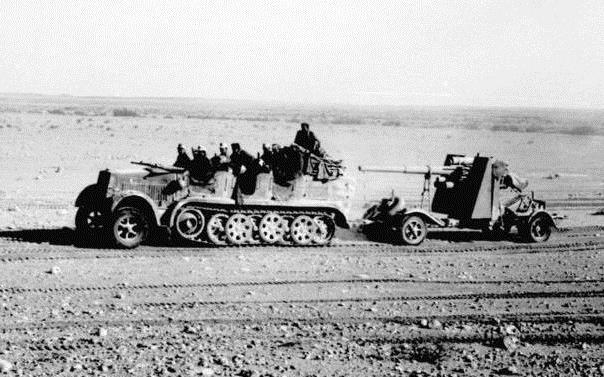 Additionally, the gun could still serve as a powerful anti-tank weapon even while in transport mode. 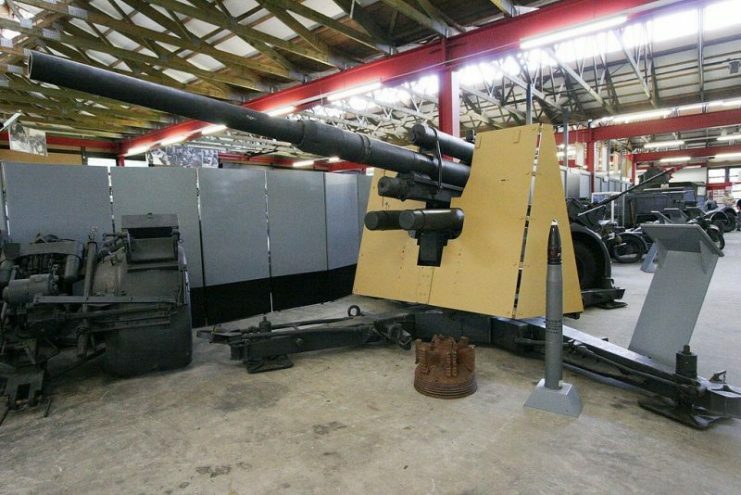 The success rate of the Flak 88 against armored units led to further development and adaptation by Rheinmetall, which finally resulted in using the gun as the main armament of the Tiger I tank in 1941. 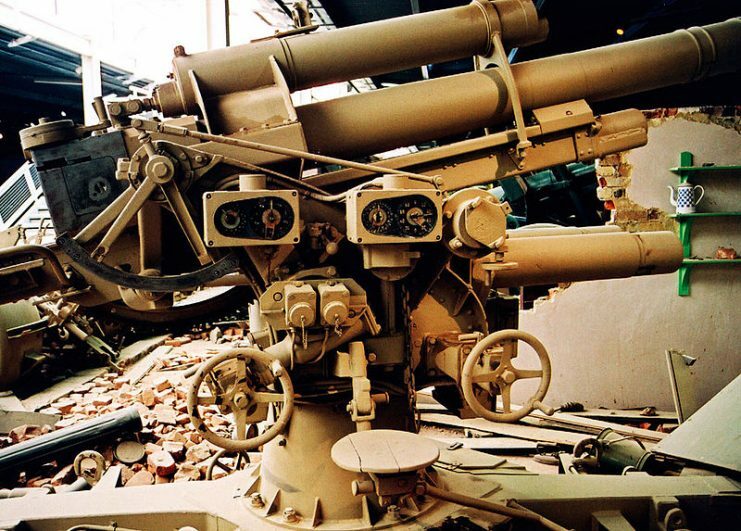 From that point on, the Flak 88 reigned supreme. 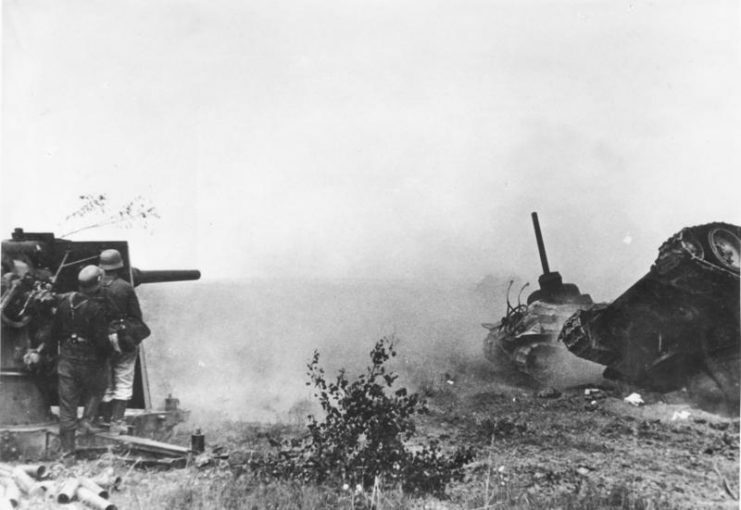 Even as it protected the skies over the Reich, it also became the trademark of one of the most successful tank designs of the war. 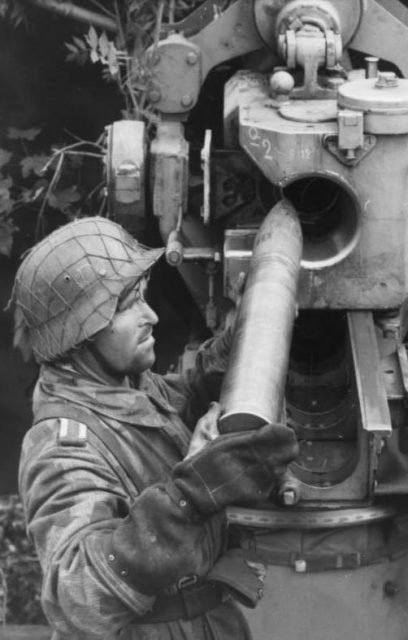 Also, the gun influenced the designs of two more highly successful anti-tank platforms ― the PaK 43 and KwK 43. 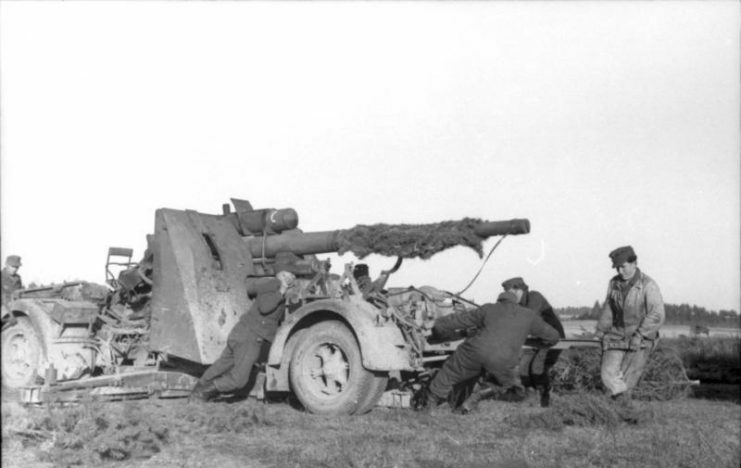 The former was adapted for vehicles such as the Elefant and Jagdpanther tank destroyers, while the latter provided firepower for the Tiger II. 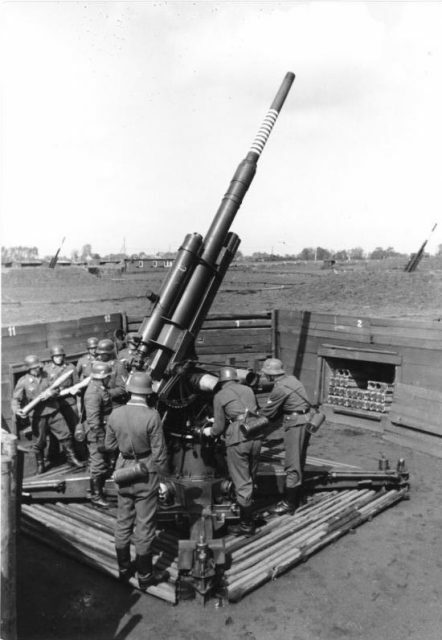 As for its anti-aircraft use, the Flak 88 had an effective firing range of up to 26,240 ft (8,000 m) into the air, jeopardizing even the highest-flying bombers of the Allied air forces. 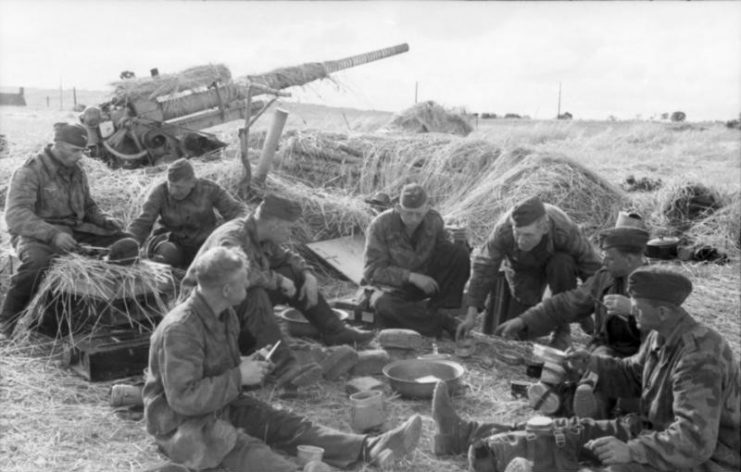 In total more than 21,310 units were produced in the period between 1933-1945, not counting the ones that were integrated as the main armament of the Tiger I. 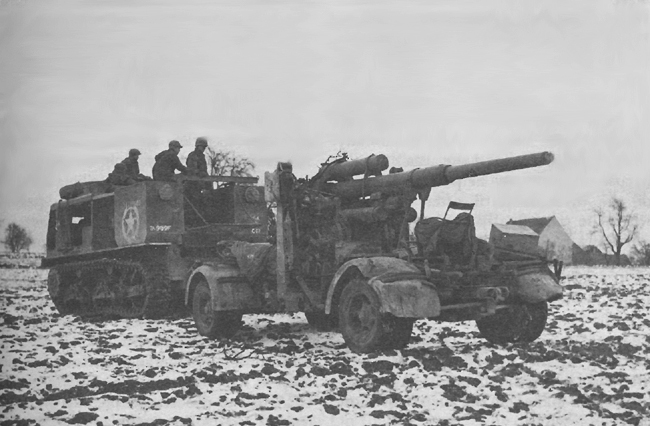 This was the extent of the Flak 88’s infamy among the Allies. 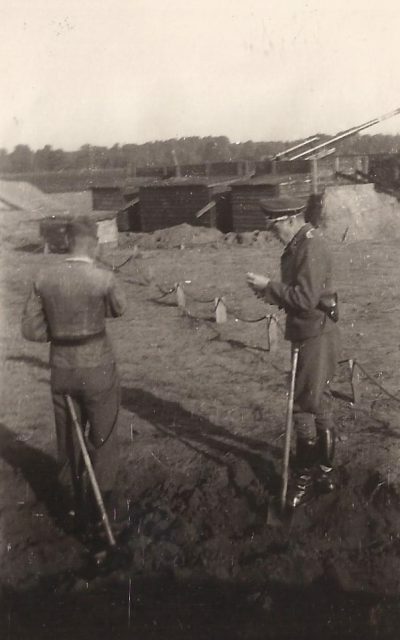 However, the tides of war were changing in late 1943 and 1944, and by spring 1945, there wasn’t a gun in the world that could prevent the demise of the Third Reich. 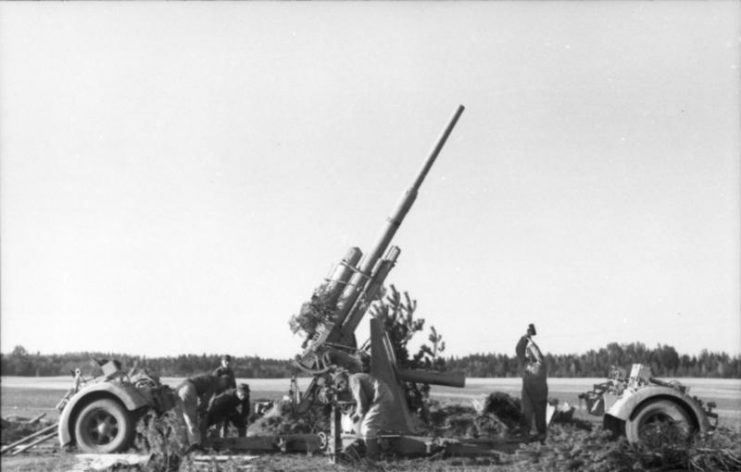 88 mm battery FlaK, the deadly German anti-aircraft pieces used with considerable success even for anti-tank shooting. 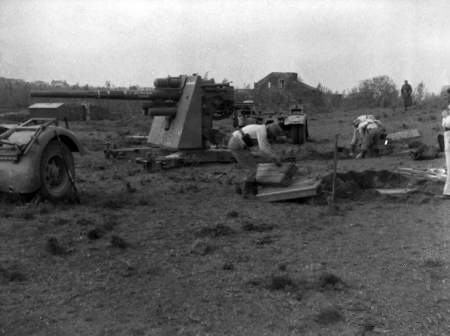 Notice the white stripes on the cannon in the foreground, indicating the number of planes and destroyed enemy tanks. 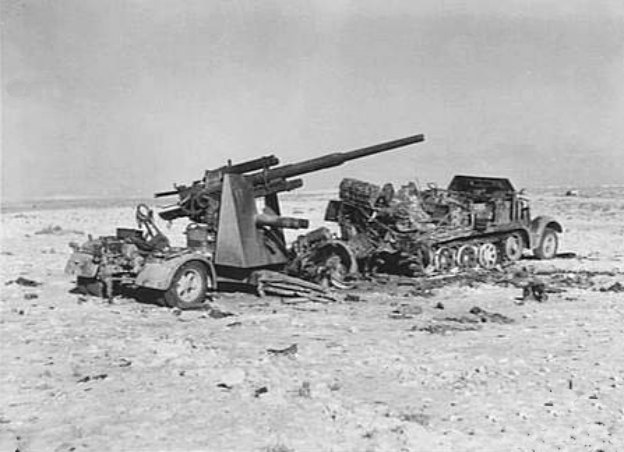 A burnt out German 88 mm FlaK 36 gun and its SdKfz 8 half track near El Alamein, Egypt. 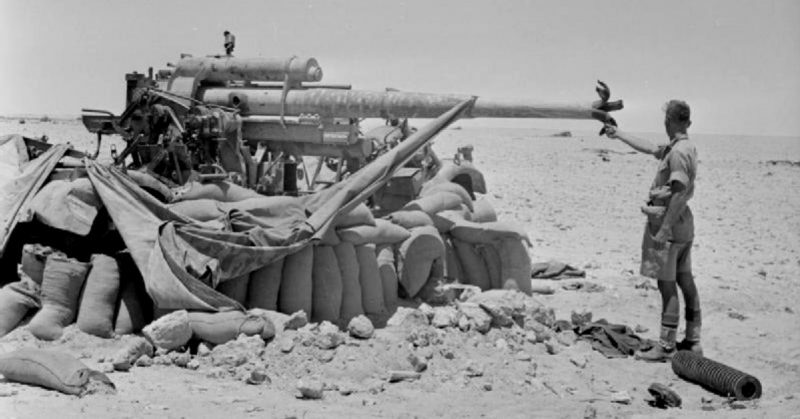 A German 88 mm FlaK 36 gun which had been used as a tank attack weapon near El Aqqaqir, Egypt. 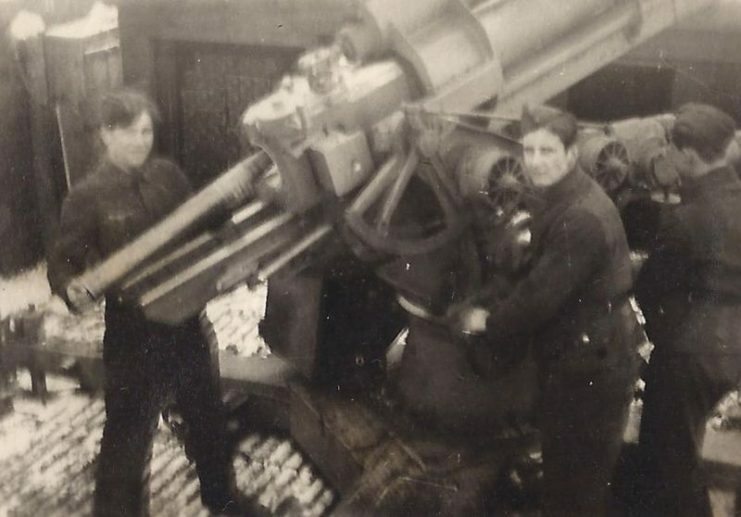 The whole crew were killed and were found buried alongside the gun. 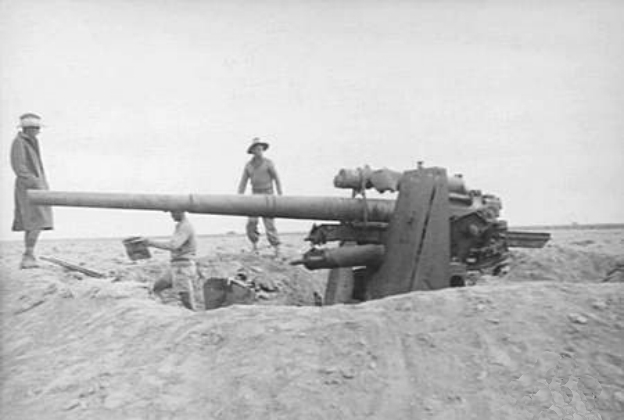 A German 88 mm Flak 36 near Moutn Vesuvius, Italy, in 1942. 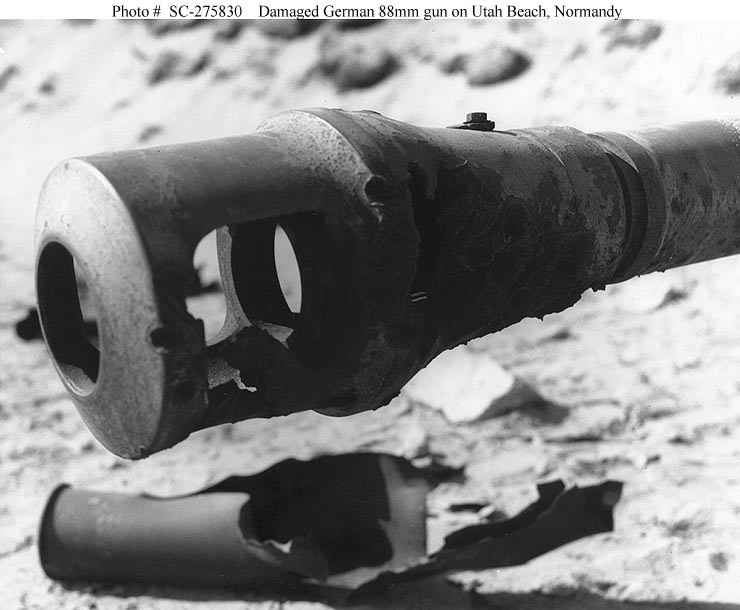 Captured German 88-MM Dual Purpose Gun.